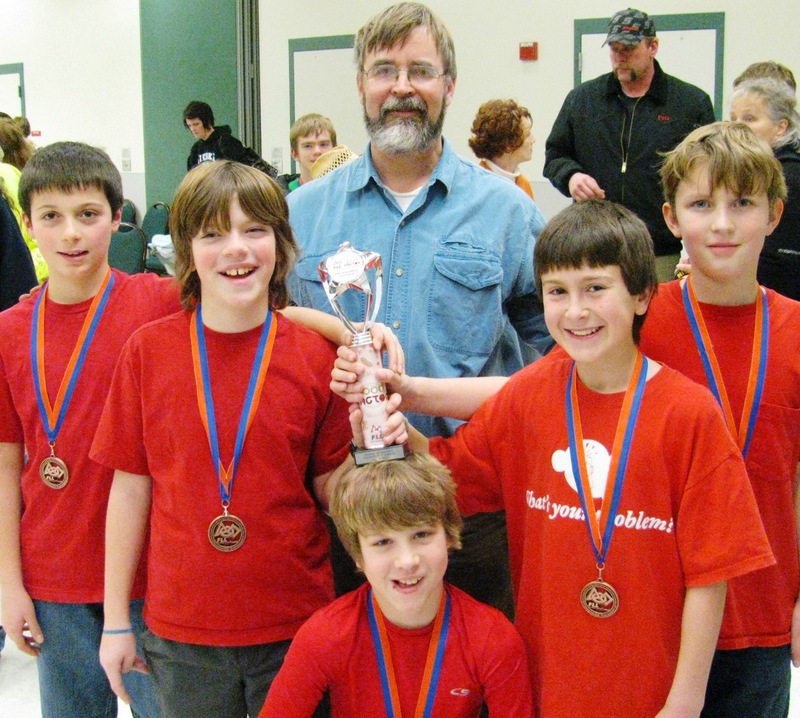 In a three-component robotics, research, and teamwork competition sponsored by First Lego League, a West Homer fifth and sixth grade team won their first tournament this year against seven other teams in Kenai on November 19 to advance to the Anchorage competition in January! Competing in FLL’s 2011 Food Factor Challenge, teams find ways to improve the quality of food by researching food safety and examining possible contaminants our food encounters—from exposure to molds, bacteria, and insects during production, processing, transportation, preparation, storage, and serving. The competitors find ways to prevent or combat spoilage or contaminants, put their research into a creative presentation before a panel of judges, and compete with their programmed autonomous robot to solve a set of Food Safety missions. The West Homer team’s focus was mold prevention on strawberries. Throughout their experience, the team operates under FLL’s signature set of core teamwork values of learning together, friendly competition, discovery is more important than winning, sharing experiences with others, and displaying gracious professionalism in everything they do in the challenge experience. This entry was posted on November 28, 2011 at 1:34 pm. You can follow any responses to this entry through the RSS 2.0 feed. You can leave a response, or trackback from your own site.